Really, I thought you only get PC's and Laptops? It's a common misconception. People think there are only two types of computers, PC's (Personal Computers) and Laptops. In fact you get a host of different types. I'll list the most common types here. Each of these types can be subdivided into subtypes. For instance, server can be subdivided into deskside, rackmount, workgroup or high end servers. The vendors of these servers mostly depict what types of servers you get, so it's not always a given that these are the different types of servers. It's vendor specific. But one thing is certain, you do get servers. Let me list the most common types of computers. There's the PC or Personal Computer, Laptops, Servers and mainframes. Of course you can now go and subdivide these into different categories. Just remember that these categories are sometimes defined by the vendors. It's so they can get a hook of the product in the market. Every vendor wants to be different. They want to make their product unique so they think of different ways to sell their products. Anyway, lets look at the types of computers individually. It's also referred to as a desktop system or desktop PC. Desktop, because you place it on your desk. Well, most of the times. The PC is probably the most common type of computer you get. It has been around since I can remember. It consists of all the major components as discussed in the section on Computer Components. What makes it so popular is the fact that it's relatively cheap and you can even build your own PC if you have the knowledge on how to do it. You can buy the components individually and put them together at home. Yep, you can even "bling" your PC by adding cool lights and stuff. That's cool homeboy. You can custom build your PC. These days vendors like Apple integrate all the components into the screen or display like the Apple iMac. This not only looks cool, but you don't need that big, bulky computer case that's always in the way. Other vendors have caught on and are doing the same. I think that this design will be seen much more in the future. These are all, what is known as, portable devices. They're small and compact and you can carry them around. That's the whole idea with these types of computers. So what's the difference between a Laptop, Notebook, Netbook and Tablet PC? People use the terms Laptop and Notebook interchangeably. They are essentially the same but the biggest difference is the size. A laptop is slightly bigger than a notebook and therefore heavier. A notebook is more compact and easier to carry around. To be honest here, I don't think there is that much of a difference. 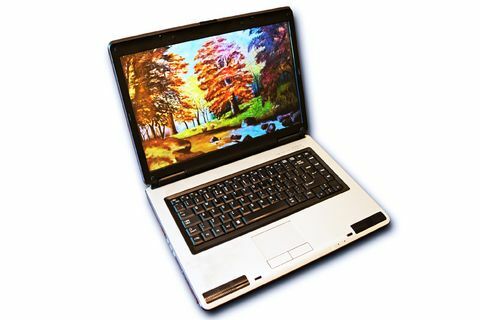 People often refer to notebooks as laptops and laptops as notebooks. These days it's hardly even noticeable whether it's a notebook or laptop. But who am I to argue. Netbooks, on the other hand, is a different story. They are ultra compact and very light. Their screen size starts from 7" to about 11". They're not as powerful as laptops and notebooks. They contain the Intel Atom processor that run at about 1.6 GHz and don't come with more than 1GB of RAM, although this will change in the future. Some models don't even have a hard disk but uses a micro sd card. The same as they use in cameras and cell phones. Tablet PC's, is a portable personal computer equipped with a touchscreen as a primary input device. Some have keyboards as well, but their claim to fame is the touchscreen. The concept of tablet PC's haven't really taken off until recently with Apple's iPad. The reason was that tablet pc's are not very powerful, compared to laptops, so you could not run compute intensive application on tablets. It also didn't run a proper version of Microsoft Windows, but a customized version of it specifically designed for the tablets. That has, of course, changed and tablets run Windows as normal these days. Apple, with their iPad has blown new life into the tablet PC world and with Steve Jobs cool marketing tactics has made the tablet a cool thing to have. They are light which makes it easy to carry around. 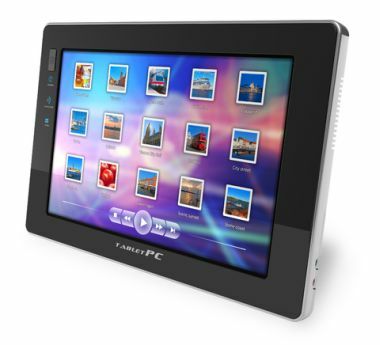 If you are a business person that has to attend a lot of meetings, then maybe a tablet PC is the way to go. So what's a server? 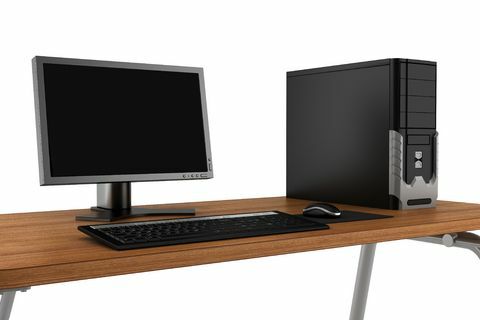 Server are computers that typically serve other devices. For instance, when you want to read your email, you connect to a server and the server then serve's your email data to you. They come in different shapes and sizes and are highly scalable, meaning they can hold more components than conventional PC's. Some servers can scale from a single CPU to multiple CPU's. It all depends on type of server and vendor. Fujitsu, for instance, has a server called the M9000 that can have up to 64 physical quad core CPU's installed in boards called, the system board. Each of the system boards can take 4 CPU's and you can place up to 16 of these boards in a system. The memory of these systems can be as much as 4 terabytes. Read more on terabytes here. Servers varies in sizes and are usually rack mounted, meaning they don't stand on your desk but slide into a unit called a rack. They usually run an operating system called UNIX, but windows also has a server version that can be installed. These servers are very vendor specific and the competition is fierce out there. Some major players include, IBM, Oracle, Fujitsu and HP to name a few. Don't worry too much about servers here, just know they are there to serve data and applications to clients, which is your PC or laptop that you use. Mainframes also nicknamed "heavy metal" or "big iron". These systems are used mainly by large organizations like Banks or the government institutions for things like census or statistics and financial applications. They used to be very big. 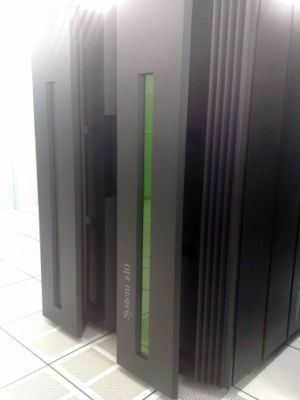 A System 370 from IBM could easily take up the room of a small house, and that's just the CPU. Then things like hard disk's and backup devices would take up the space of another house. Things have changed and they are not that big anymore. They are still very expensive. Some companies even use servers instead of mainframes these days. IBM is one of the major players in the market at the moment. There are other vendors like HP and Fujitsu but IBM is synonymous with mainframe computers. They run their own special version of operating system and are very specialized systems. They are known for their reliability and scalability. Companies are moving more and more to servers but there will always be a place for the mainframe. There you have it, the different types of computers. There might be some that I have left out, but these are main types of computers. Some also argue that cell phones are also a type of computer. It's got a CPU, Memory and storage in the form of a micro SD card. Strange but true.